Marcel Gemperli began studying the viola at the age of eight in his native New York state. He earned his B.A. at Harvard University and furthered his viola studies in Germany and Switzerland as a Henry Russell Shaw Fellow. He was also a founding member of the Linnaean String Quartet, and performed with the National Repertory Orchestra during the 1995 season. Since relocating to the San Francisco Bay Area in 1997, Marcel has performed extensively throughout the region. 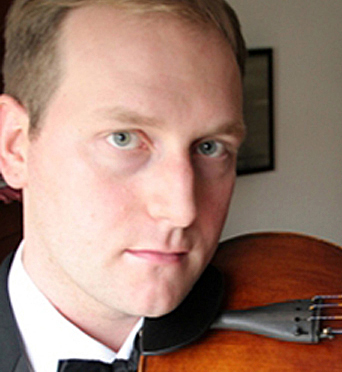 He currently serves as Principal Viola of the California Symphony, and performs on a freelance basis with many orchestras including the San Francisco Symphony, the San Francisco Ballet and Opera Orchestras, the New Century Chamber Orchestra, the San Jose Chamber Orchestra, as well as the orchestras of Marin, Modesto and Santa Rosa. Marcel performs frequently in touring Broadway productions and also records film and television soundtracks through the Skywalker Sound Studio. In the summer months, he has performed at the Telluride Chamber Music Festival, the Mendocino Music Festival, and as part of the Midsummer Mozart Festival Orchestra.